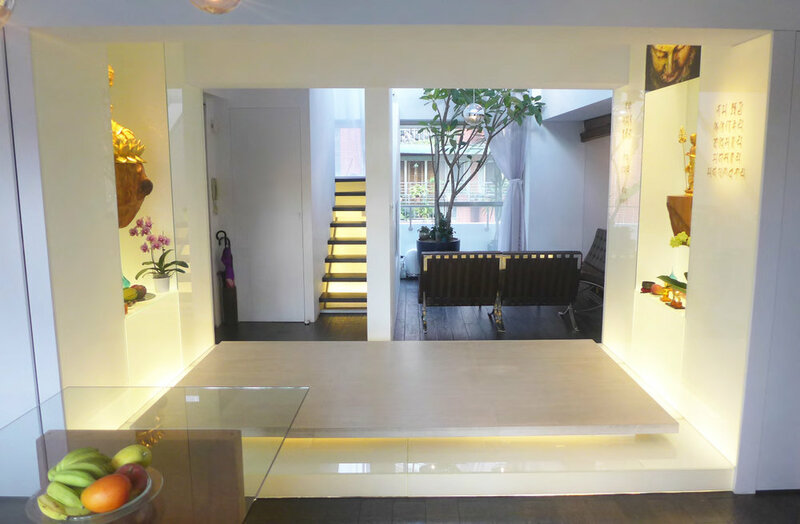 This project involved the conversion of a 2-story rooftop flat in downtown Taipei from a typically cluttered warren of rooms into an open, spacious, light-filled home. 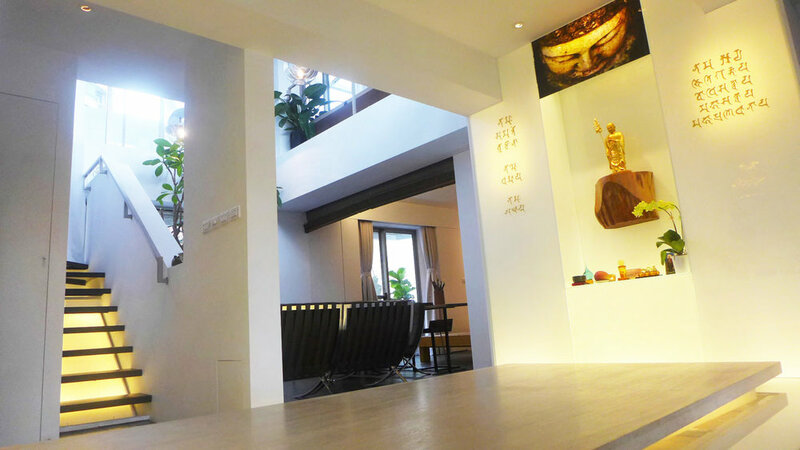 The client is a devoutly practicing Buddhist who wanted the altar to be a focal space in the home and was open to a new interpretation of how that altar could be expressed. hch's concept for the design brings the light and spaciousness of the 2-story living room area into the experience of the altar. The Buddha and Bodhisattva stand on floating masses of wood, an uplifting metaphorical reference to their power to inspire. The choice of materials and plants bring life and warmth to this home that is a tranquil escape from the bustle of the city.